It is probably tough to keep up with and sometimes these announced Google changes never come to fruition, but Google has released information that they will change how your local business gets found by consumers. If you are a local business owner local search is becoming increasing more important to your online success. Some of the perks regarding local search are: less competition, which requires less budget, Organic search is now favoring local search, lastly local traffic is a better lead. Getting national rankings requires a bigger budget and takes a longer time to get ranked. By targeting local keywords you are maximizing your online marketing budget and generating a positive ROI quicker. Targeting local keywords might be the most cost effective strategy you can implement. Organic traffic is starting to favor local search. While the Google map listings are less prevalent, when you perform a search query, Google’s results are now in local areas. Google is smart enough to know now that you aren’t looking for a Tennis Instructor 3,000 miles away. So the top results are geo targeted. So how do SEO Companies get you Optimized in your Local Area? Out with the old in with the new. 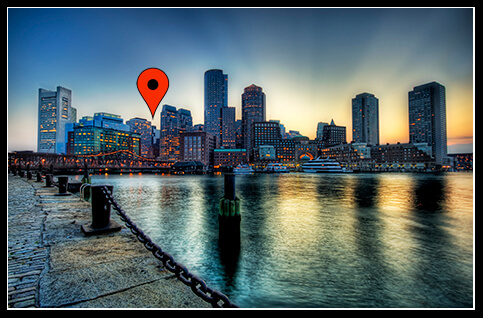 Google + business profiles are replacing the Google Places business profiles. They are structured to work the same way as a company Facebook Page. Local results are now going to show Google + profiles instead of the A-Z listings. Zagat is coming into play. Google purchased this company a year and half ago and they are integrating this service into the local search results. Google is making our job a little more difficult. The onsite changes that need to be implemented are not going to be your typical onsite changes to get ranked in the national listings. Each website needs to list their phone number, address, and name on your website in a very delicate way. This terminates dummy addresses and numbers to rank within the Los Angeles area when you are located in San Jose. If Google catches you do this, your rankings will plummet. Now let’s say you indeed have legitimate locations. It just means that your onsite programming gets more complicated. Your site needs to be structured to each location: phone number, address, and name. It is ideal to put links to these address through your Google + pages. Local citations are critical for ranking on the local search. Local citations are offsite content or links back to your site, which include your information (phone number, name and location). Get as many people referencing this pertinent information you will rank better locally. Create a Geo map and submit it to the search engines. Make sure that each Geo map has your name, phone number and location. Become an powerful figure within your industry by having people comment and cite your business profile. This will tell Google, Yahoo, and Bing that your business is popular within your community. There are over 100 major directories that will generate significant local search juice. If you have 5 branches, create 5 business profiles for each location. At Noxster SEO Company we submit you to business websites, including local map sites, mobile map sites, smartphone sites, local directories, business directories, search engines, social sites, video sites, blogs and any additional sites that we believe can help you get the local listing you desire. If you are a Los Angeles based company looking for a LA SEO company or simply need more information regarding a Local Optimization Campaign give us a call at 888-507-4944. A friendly SEO expert will walk you through each step of the way.